The sacroiliac joint is in your pelvic region. It can be a common source of low back and buttock pain. This condition is extremely common in women. Sacroiliac joints must loosen and stretch to accommodate childbirth and weight gain, and an altered gait during pregnancy can increase stress which can result in pain and/or dysfunction. Sacroiliitis the condition that describes pain emanating from the sacroiliac joint near the base of the spine. Most patients have difficulty sitting, low back pain, and cannot cross their legs in a “figure four” position. The patient’s ability to climb stairs, run or take longer strides may also be prohibited due to sacroiliac pain and stiffness. What is the best method to diagnose sacroiliitis? The best diagnostic test for determining sacroiliitis is to perform a sacroiliac joint block. An injection of lidocaine or marcaine (bupivacaine hydrochloride and epinephrine) into the joint should cause temporary pain relief. If this occurs, the diagnosis of sacroiliitis is almost certain. Medications – As a first line of treatment, analgesics (acetaminophen) and NSAIDs (ibuprofen or naproxen) may be suggested but there is some evidence that these anti-inflammatory drugs may inhibit the healing process. Narcotic pain relievers may be effective but these are habit-forming and should not be used for long periods of time. Muscle relaxers can help control muscle spasms associated with sacroiliitis but do not fix the painful condition. Support braces – S.I. belts are a type of orthotic used to treat a hypermobile situation to temporarily stabilize the joints until the sacroiliitis calms down. This is useful for treating an acute condition and the patient is weaned off the belt over time as pain diminishes. Physical therapy – Range of motion and stretching exercises are often used to strengthen core muscles, increase stability and improve sacroiliac joint function to decrease pain and discomfort. Radiofrequency ablation – Radiofrequency ablation is a procedure that uses an electrical current (produced by sound waves) to treat a specified area of sacral nerve tissue to decrease pain signals. Laser treatment – Destroying the affected nerves with lasers can often provide permanent relief from sacroiliitis using a laser or light beam as the source for sacroiliac joint ablation. Patients may not get full relief from the initial treatment, so a series of treatments may be prescribed depending on the severity and duration of the condition. Electrotherapy – Electrical stimulation of the nerves and muscles in the sacroiliac joints may be used to block the transmission of pain signals to promote healing. If a chronic condition exists, electrotherapy may not be sufficient to control discomfort over longer periods of time. 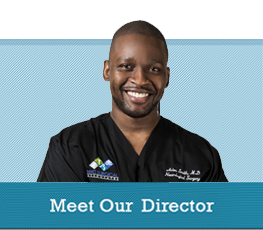 Our surgeons are very experienced with treating SI joint pain. In fact, we are usually able to make the pain and dysfunction go away. But, when the sacroiliac joint pain becomes unbearable and causes difficulty in performing simple activities common to daily living, surgery may be required. The best surgical method is a direct visualization fusion of the sacroiliac joint, which usually can be accomplished as an outpatient procedure. Since this joint naturally has extremely limited motion, one novel technique to eliminate it as a source of pain is to fuse it. With most joints, it is important to preserve as much of the range of motion as possible. The sacroiliac joint can be effectively fused without notice. Our surgeons perform this surgery on an outpatient basis and boasts a pain relief rate of over 90%, rivaling the best in the world. In addition, there have been no infections and no nerve injuries using the techniques utilized by NYC Surgical Associates. To learn more sacroiliac surgery or to discuss other options, contact our Neurosurgery and Spine team at NYC Surgical Associates, where we are happy to discuss this and any other options that may pertain to your care. You may contact us at 888-286-6600 or by submitting our online contact form.